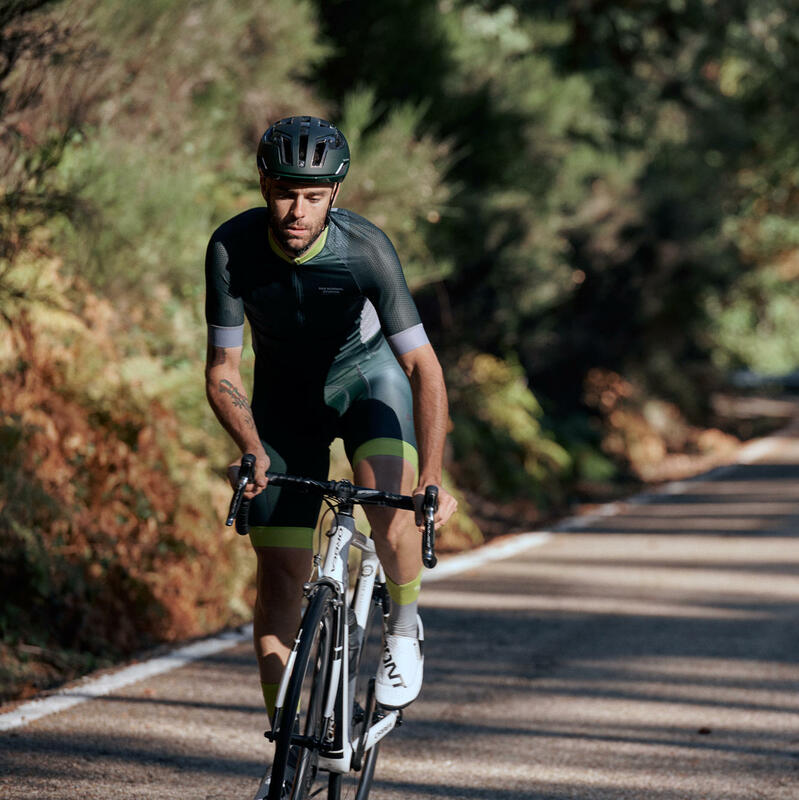 The Solitude Mesh is an ultra-lightweight bibshort, with mesh uppers for maximum breathability and coolness, together with ultralight side panels on the legs (no, they're not mesh - PNS have thought of your modesty! - but they use an exceptionally breathable and high-wicking fabric). The mesh panels give optimal breathability and comfort even in the warmest conditions. The bibs are designed to be paired with the PNS Solitude Mesh jersey, available here. 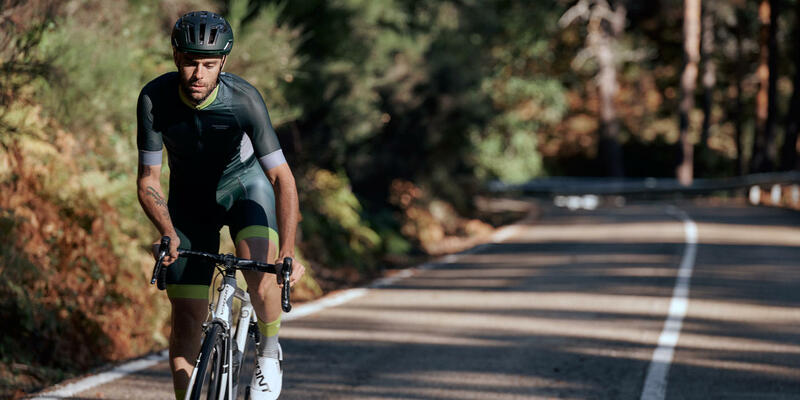 The fit is classic PNS - the same as our favourite Mechanism range, it's a race fit that's highly tailored and extremely comfortable on long days in the saddle. The Solitude Mesh bibs are PNS's take on a lightweight performance bib for high summer. Created with a highly breathable side panel for an even lighter and ultra-ventilated bib. 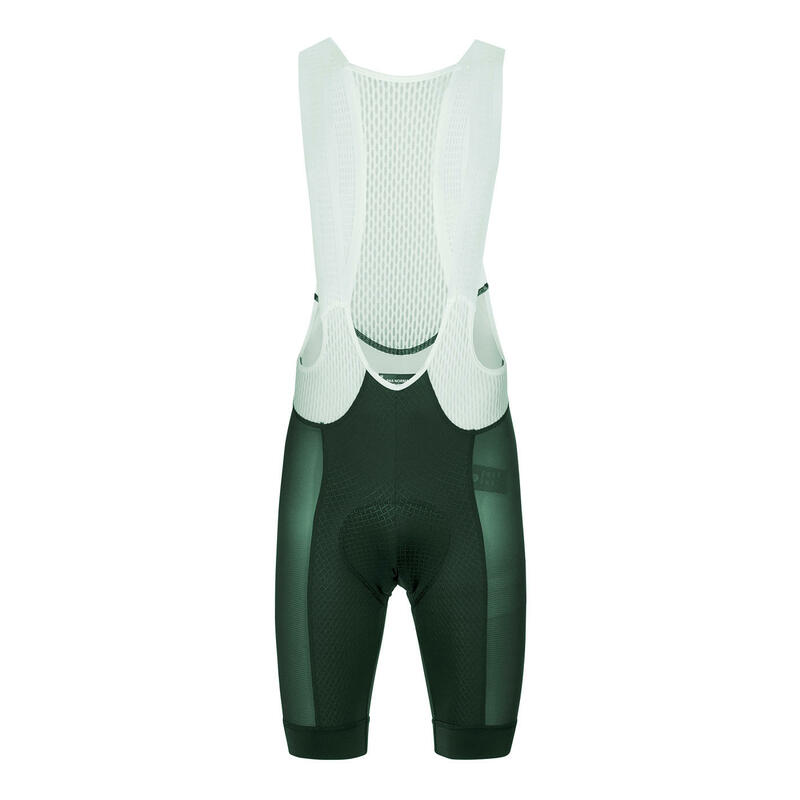 The Solitude Mesh Bibs are lightweight, breathable and durable. The bibs are designed to match the Solitude Mesh jersey. Read more about the limited edition Green colourway on the Bespoke blog.